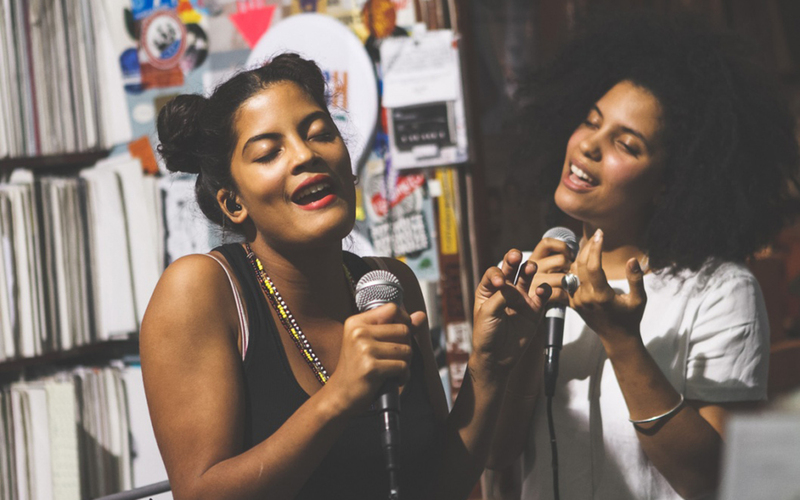 Ibeyi is the twin sisters, Lisa-Kaindé and Naomi Diaz (daughters of Cuban percussionist, Anga Díaz, who was a member of Buena Vista Social Club). The Parisian sisters sing both in English and the Nigerian language Yoruba. They have signed to XL and have started recording their debut album. Check out below a sample of the impending long-release via soulful track Mama Says. The song languishes somewhere in the fold between jazz and soul, but bears updated digital production and effects. All to great affect. We love it, and look forward to their album. Bono, Edge and all of U2 have (once again) become the music whipping boys following the iTunes “gifting” of their latest album Songs of Innocence. We think this anger a bit over the top and mostly unwarranted. But that’s just us. For those that would complain bitterly about the band, we might suggest that you at least give peace and U2’s music a chance again. While the new album might not be their absolute strongest, it still has plenty to recommend it. Exhibit A in this case would be the song Every Breaking Wave as captured live twice in the last month, first on Later with Jools Holland and second from the MTV European Music Awards. It’s a fantastic song and the live arrangement is sterling. Not to mention Bono’s vocalese is nonpareil here, his rich tenor and emphatic delivery helping to bring the song alive. Surf’s up! Here’s wishing Bono a swift and complete recovery from his Central Park cycling accident. Most of the year, the musical Niagara Falls flies by full-flow. We all shakily extend our cups into the roaring sound-cavalcade and pull out what we can. But we miss so much, only to find it later downstream in the lazier river. It’s in this Thanksgiving season that the waters slow somewhat. Thankfully. Given the slowing and current events, now seems as good a time as any to pull this one up from January of this year. The world is again Dylan-agog following the outstanding release of the updated Basement Tapes box sets (guilty as charged: we can’t stop listening to the poor-man’s version, the two-disc Basement Tapes Raw distillation). And one of our favorites, Phosphorescent, just rolled through Los Angeles and wowed the cognoscenti once again (missed it–more regrets). Combining the two, watch as Phosphorescent (leader Matthew Houck solo) covers Dylan’s Tomorrow Is A Long Time for WNRN. It’s a faithful rendering, but aided immeasurably by Houck’s world-weary vocals. Phosphorescent is known for their outstanding covers (Vampire Weekend’s Ya Hey, Jesse Colter’s Storms Never Last, and Randy Newman’s Days of Heaven to name a few). This one fits nicely into Phosphorescent’s covers quiver. Happy Thanksgiving y’all! We’d been hearing repeated raves from reliable sources about the alt-country band Shakey Graves, but were gravely shaken not to immediately connect with them upon listening. Over time, however, a few of their songs finally sank in to our ears. What we came to realize, though, was that it was their songs that included collaborator Esmé Patterson that were really making their mark on us. Her strong vocals and harmonies featured on songs/performances such as the ensemble’s Big Time Nashville Star and Dearly Departed (which you can watch/listen to way below) drew us in more than the comparatively straight-forward deliveries by the core band to which she had been added. Afterwards, listen to Patterson’s three-song Tedx Talks session for some more Woman To Woman samples, followed by the referenced Shakey Graves songs at bottom. 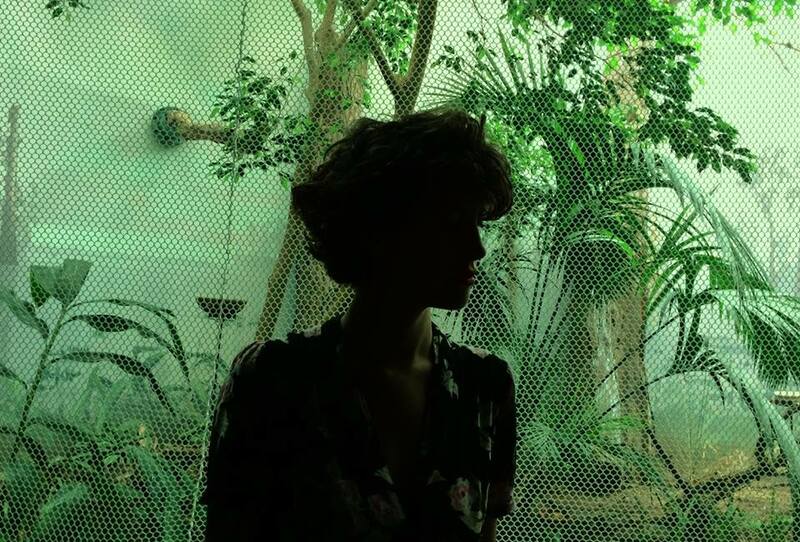 Keep your eyes and ears out for Esmé Patterson. 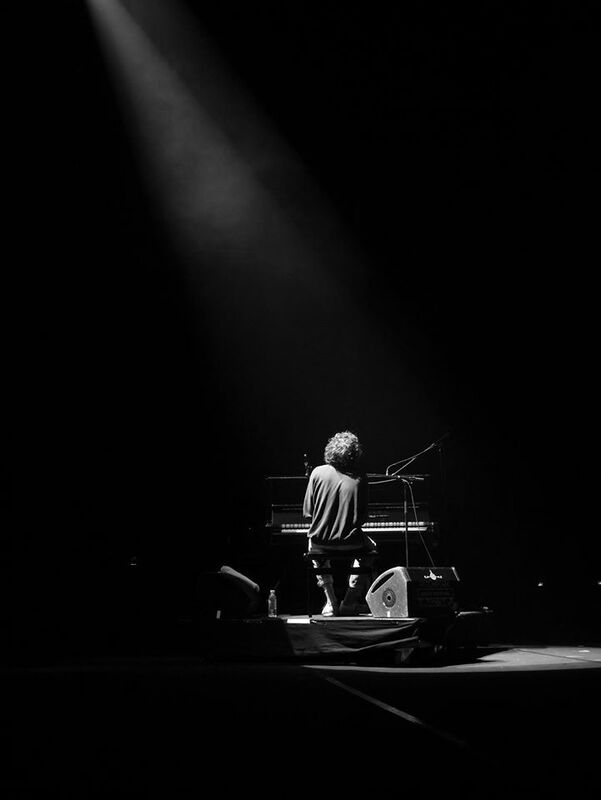 Reminding somewhat of the great Warren Zevon and early Billy Joel (read, pre-sellout) in subject matter, piano and romantic gestalt, check out Vancouver’s Tobias Jesso Jr.’s affecting ballad Hollywood. Check out Jesso’s soundly-resigned vocals that segue into the perfect horn dishevelment outro. Beauty. We’ll have more on Jesso later, but in the meantime enjoy this beauty below. It’s been a long dang time (2006) since the first time we caught TV on the Radio at Soho in Santa Barbara on their tour in support of their second album, Return to Cookie Mountain. Last night the band appeared on the Late Show With David Letterman last night to perform a raucous version of their song Happy Idiot off of their new, critically-acclaimed, fifth album Seeds. Check it out below. 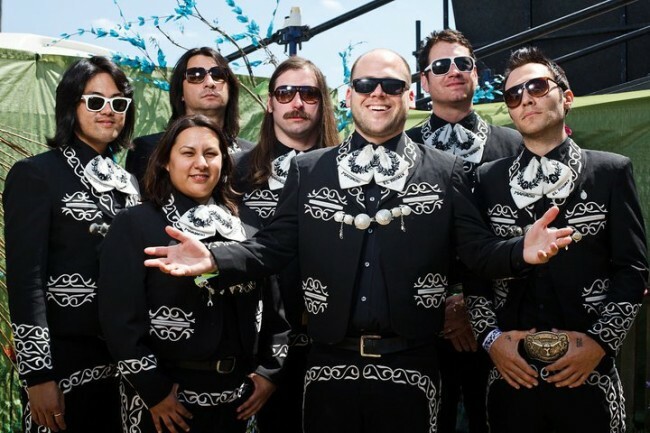 On a dream weekend earlier this month, we caught up with the nonpareil Mariachi El Bronx as they toured through California. And MEB delivered one of the most riveting, driving live deliveries we have heard from a band in quite some time. The flipside to the alter-ego punk band side of this melange is a soulful, authentico band that serves up lock-step, soul-infused mariachi music, with hard-driving percussion, riveting vocals and a committed gestalt, which will not quit. Con mucho brio! To get a sample of what you missed, check out their performance for KCRW below. So dang good. Don’t you miss them, next time they come around. Whatever you do. 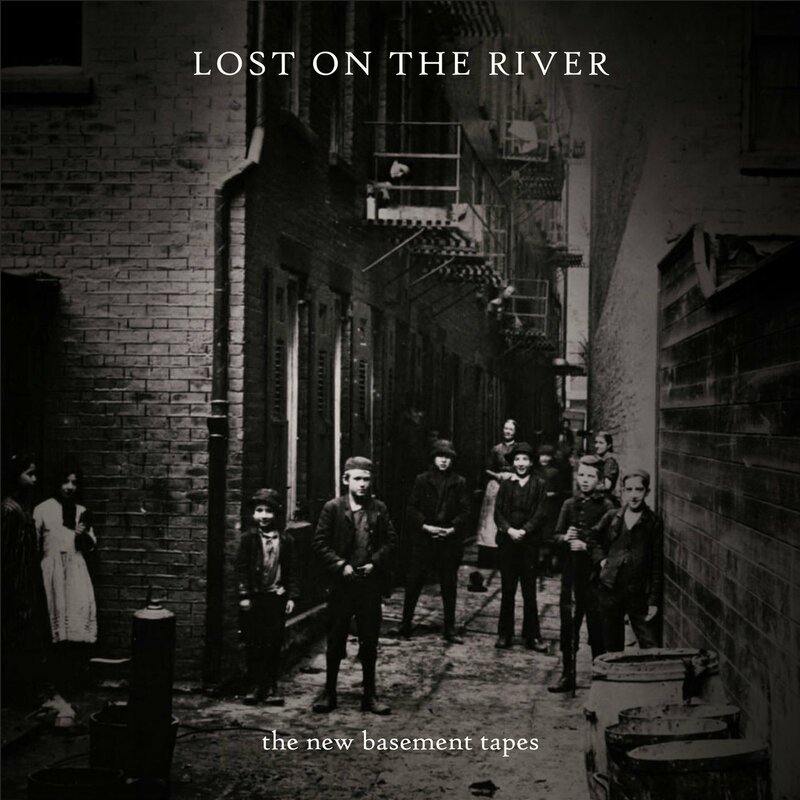 As we’ve now written repeatedly, The New Basement Tapes, featuring Elvis Costello, My Morning Jacket’s Jim James, Mumford & Sons’ Marcus Mumford, Dawes’ Taylor and Griffin Goldsmith and The Carolina Chocolate Drops’ Rhiannon Giddens , were brought together by T-Bone Burnett to add music to unfinished lyrics of Bob Dylan’s, from circa Basement Tapes. Hence the group’s name. The group has now released its album Lost On The River. 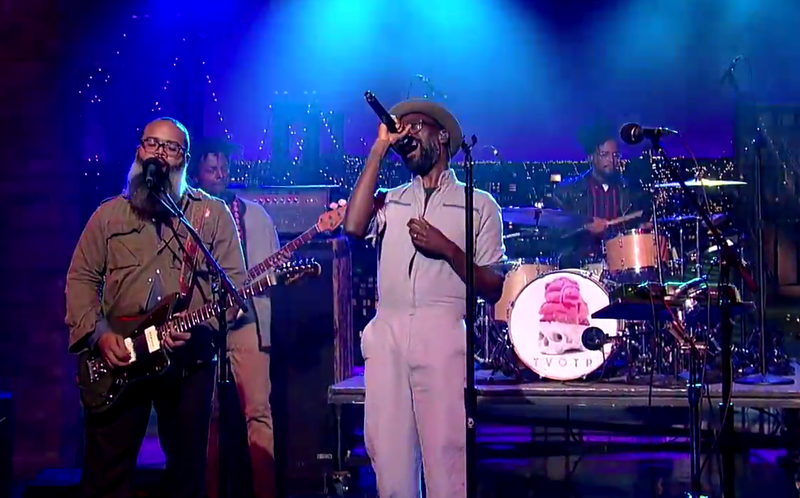 Last night, they were on Jimmy Kimmel Live, where Jim James led them through a sterling version of Nothing To It, and Giddens and the boys absolutely annihilated Duncan & Jimmy in a web-exclusive. Check ’em both out below. Superb work from this supergroup! As mentioned before, two new acts, Brit-pop band Vaults and Brooklyn’s Tei Shi, strike an emotional chord within us much harder and deeper than other acts in the pop genre. 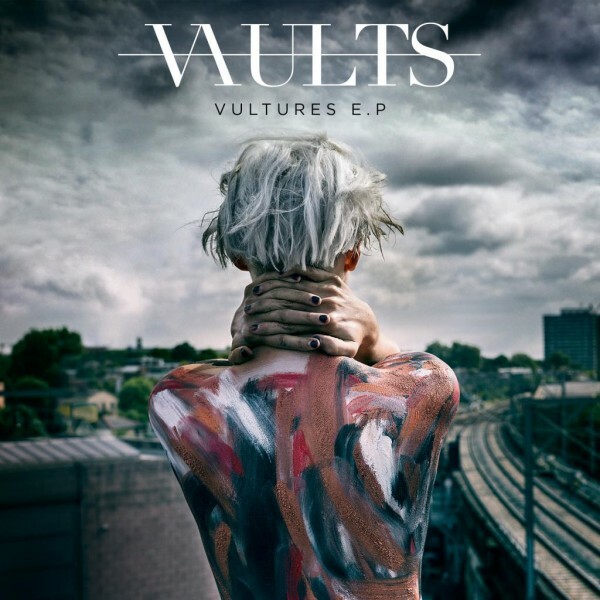 Vaults’ song Poison is a perfect example. Vaults has just released another new track Mend This Love. Check it out below. Once again, there are no unnecessary histrionics (so de rigueur these days). Instead there’s perfectly spare instrumentation to accentuate an affecting ode to an irredeemable love. Singer Blythe Pepino and Vaults deliver again with aplomb. Vaults’ Vultures EP is out December 1st on Virgin/EMI. 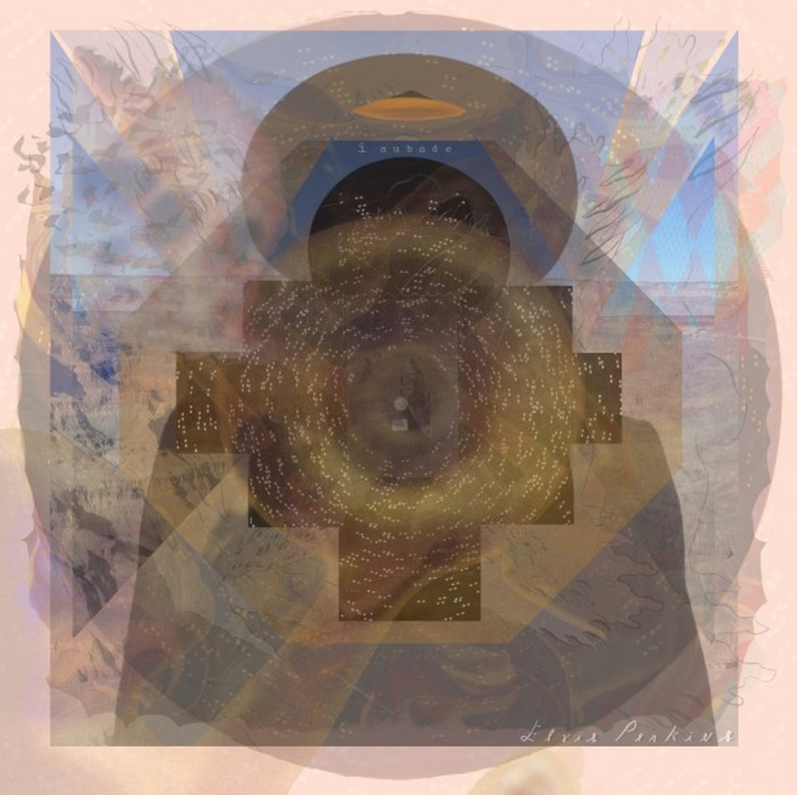 After two stunning releases in the aughts, New York songwriter Elvis Perkins somewhat disappeared for five years. Now Perkins has announced a new album via his own MIR imprint, I Aubade. As a preview of the LP, check out below (via Stereogum) the first single therefrom, Hogus Pogus. The track evinces a sunnier outlook than we’ve predominantly perceived previously from Perkins. To get a feel for the less sunny (and for good reason) go HERE to hear one of the all-time greats, Perkins’ beyond-sorrow song Ash Wednesday. “Here lies my third Long-Playing collection of songs. The vast majority of what can be heard is the product of my own placement of microphone to source in the period between February 2012 & December 2013. My previous releases had for the most part been made with steady players in studios and overheard by engineers and producers, so this was for me both a novel approach and a return to the 4-tracking solitary self of my early 20′s.